Are Black Ear and his siblings in StarClan? And I guess I should ask if you know anyone else from Dawn of the Clans that is in StarClan or Dark Forest. Also, a few more questions..
.Were Applefrost, Shyheart, and Willownose warriors, medicine cats, or apprentices? .And was Petal and Fox’s mother a rogue, loner, or kittypet. Thanks! I’m guessing Black Ear and his siblings are in StarClan because most of the time, keyword most, cats don’t go to the Dark Forest for no reason. I think at least one of them died because didn’t it say in Firestar’s Quest that a kit fell in the river, they were the only kits. Idk about Shyheart and Applefrost but i think someone (Kate, Cherith, Vicky, or Su) said Willownose is/should be Shellheart’s mother sooo unless there is a nother forbidden relationshop yeah. Black ear and his sibbilings WERE in starclan , but i read that if no one remembers them, they will fade away. so i think that happens to them. I think petal / petalnose’s mother is a kittypet , since she was a kittypet herself. Kate, do you think Stormfur, Brook, Lark and Pine are alive and well? What do you think Lark and Pine were to-bes for? I only know my favourite dessert – lemon meringue pie! Oooh I like that too! My personal favourite is bundt cake! Ever heard of Nothing Bundt Cakes? I have a Nothing Bundt Cakes like 5 mins away from my house. They are the BEST. My favorite is the double chocolate chip! I hope one day they’ll come to the UK! Personally, I think Stormfur and Brook should be alive. I mean, Graystripe just died of old age, and Stormfur’s his kit, so Stormfur is only as old as Squirrelflight or Leafpool or Bramblestar.. He should still be alive, unless he was killed by a sharpclaw(mountain lion) or something (like his sister). Brook’s basically the same age, so she should be alive too. I ‘m not sure who Lark and Pine are, but if they’re any younger/the same age as Stormfur and Brook, they should by all logic be alive unless killed by unnatural causes. I agree with you about Stormfur and Brook! Since when did Graystripe die of old age? Can you see the future? kate does bramblestar still have all his 9 lives? Good question. I’m not sure. Has anyone been keeping count? He hasn’t lost any lives that we know of, but Firestar would lose a life or two between arcs so maybe during the period between the end of Bramblestar’s Storm and The Apprentice’s Quest he lost his first life, but I don’t think he’s lost more than one as of now. I feel like he should have lost some by now but I’m not sure whether he has or not. As far as the reader knows, he hasn’t lost any yet. What does Reedpaw of SkyClan look like? We only know that she is a pale tabby. Did Mistystar lose a life during the battle in the beginning of Shattered Sky? She was pretty badly injured. Hm, well I doubt Mistystar will die in TS. It’s practically a journey SE, so Tigerheart won’t even be with the Clans for most of it. If Mistystar does die, then I believe it would be during the main series. Don’t forget that book 5 is called “River of Fire”. 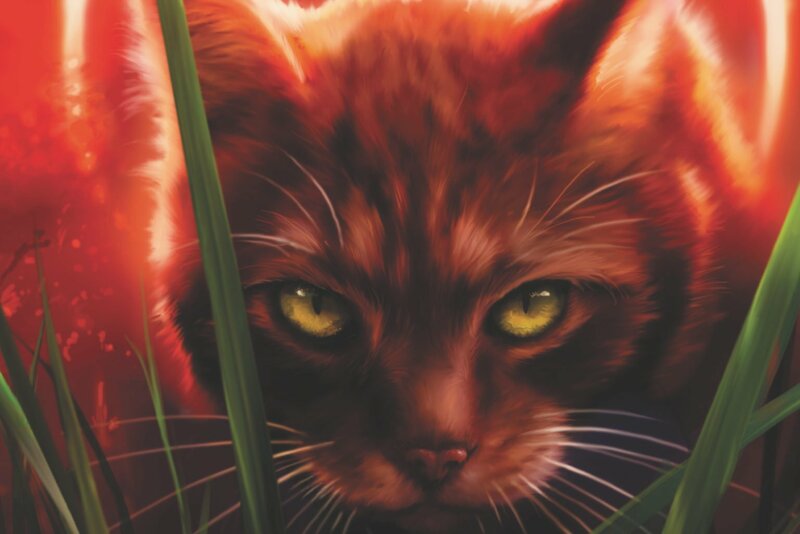 Though I still believe that Leafstar should die first due to being a leader for so much longer. She became leader in “Firestar’s Quest” while Mistystar became leader in “Fading Echoes”. Yeah, I think Reedpaw is either a pale brown tabby since both her father and one of her brothers is brown, or a pale gray tabby since both her mother and her other brother are gray. Please, add in Warrior Cats a character named Hyenakit. Maybe the one of Tigerheart and Dovewing’s kits? But, you can name Hyenakit another kit, maybe in another Warrior Cats book. I think Hyenakit is a light tabby (or spotted) she-kit with long fur. You can give prefix Hyena one of StarClan cats. Really, name with prefix Hyena would be really, because Warriors know about lions, tigers and leopards, and maybe about hyenas – too? Isn’t a hyena technically closer to a dog though? Also, random question, why do cats name their kit Mousekit or Foxkit or Thrushkit (etcetera)? They’re either naming their kits after fresh-kill or enemies! They might as well name a kit Dogkit or Twolegkit, or just Preykit! It doesn’t make sense to me. Also, do cats know what apples and cherries are? they name their kits after them. I think this should be considered. Where did they get the knowledge of these things. Did they always know that a birch tree is a birch tree or an oak is an oak? what about ivy? alder trees? a lake? did they get the words from twolegs? If not, where did they get them? sorry, I’m rambling now. But someone answer please! 1) as I see it, cats do respect prey animals as non-food animals as well, which is why they have to give a prayer for taking its life, or make it part of the code to not to waste it. After all humans give their kids names like Ava, meaning Bird, and actively eat birds all of the time. and i think naming them after enemies is just like how a people are tempted to give children names like “wolf”, because predator names sound cool to us! > and a side note, I’m sure kittypets or strays who have joined in the past can pool knowledge about some twoleg/foreign things. i’m a fan of the theory that this is how the clans knew of tigers, but eventually the stories of these animals were muddled enough that they became myths to the cats. 3) i imagine that cats would know these plants by scent, and then when they developed (feline) language, they made a word for them. you could ask the same about humans–did humans always know the difference between a flower and a tree? of course they did, they just didn’t have words for them until, well, until they made words for them. Its hard for me to tell what you mean by “a birch tree is a birch,” but they would be able to tell it apart from other trees, and im sure they don’t know what twolegs call them. 4) the cats must speak a feline language, and it’s only translated into human languages for the purpose of us understanding them. otherwise they would understand twolegs when they speak! I wonder who’s now gonna be the new deputy of WindClan.. I was thinking, maybe Leaftail? 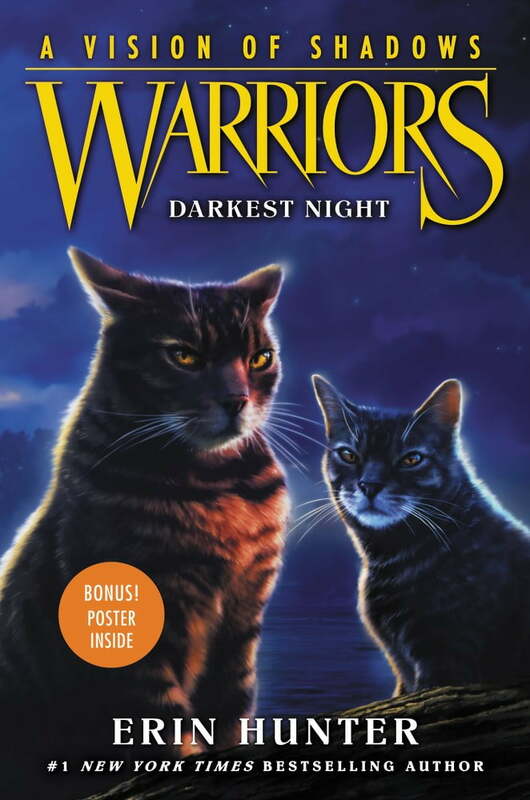 She’s barely mentioned in the series, but I’ve been looking through the WindClan warriors in Shattered Sky, and also remembered the age thing, so, Crowfeather seems just a bit too old? Leaftail has been around since Eclipse, and she’s had 2 apprentices, wich are now both full warriors. There was also Emberfoot, also around since Eclipse, more mentioned and also with 2 apprentices, but only 1 of them is already a warrior. Smokepaw is still an apprentice. Maybe it could be 1 of these two..? None of the cats you listed are deputy of WindClan. Kate, do you think Briarlight can have kits? A mate not be tol farfetch’d… right?? I really hope Pebbleshine comes back soon! Hawkwing wouldd be so sad if she didn’t. I also hope Hawkwing gets a new apprentice. He needs one! Wow Alderheart and Sparkpelt are really famous (they have a popular family kinda). Their father is Clan leader, their mother is deputy, their cousin is deputy as well as their uncle, that cousin’s brother is medicine cat (he died though), their aunt is a medicine cat and their other cousins once had powers and are really cool, their grandfather is the savior practically, their other grandfather is a killer, Alderheart himself is a medicine cat, uh….yeah! It’s been established that Pebbleshine’s dead, though…. when will the allegiances be released? hopefully soon, since the book is almost two moths away. The allegiances were released in the sampler. I think Sky means the TS sample. Darkest Night sample isn’t out yet. However, it is probably the same as the Tigerheart’s Shadow (TS) sample.